It's finally starting to feel like summer! Here are 5 things I love right now which are very much in the spirit of the season. 1. 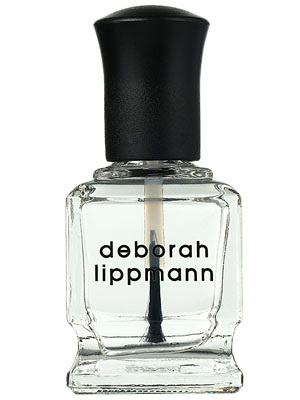 Deborah Lippmann 'Addicted to Speed' quick dry top coat (available at Wishlist Boutique, BeautyMark, Kiss & Makeup, and Holt Renfrew). As relaxing as I find DIY manicures and pedicures, I don't love doing my nails two hours before bedtime and still managing to wake up with inexplicable dents and creases in my topcoat. So imagine how thrilled I was to find Deborah Lippmann's 'Addicted to Speed', which dries to a super shiny finish and hardens polish in about 10 minutes. (For best results, apply it two minutes after your nail colour.) What's more, it makes your lacquer last longer and stand up better to chips. Pricey, yes, but I don't regret buying it as it's made my DIY manis look light years better. 2. Sunday afternoon salsa at Robson Square. Every Sunday from now until the end of August, enjoy free lessons, performances, and social dancing in Robson Square. I've been going to this for years and look forward to the return of this event each summer. If you've ever been curious about salsa, or you took classes long ago and want to brush up in a non-intimidating atmosphere, I encourage you to check it out. 3. Revlon ColorBurst Lip Butter in 'Tutti Frutti'. If you've been a fan of orange ever since Pantone decreed 'Tangerine Tango' to be the colour of the season, then this is the perfect lip colour for you. 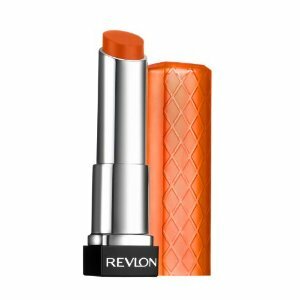 It's a creamy orange without a hint of shimmer and very moisturizing, and the texture is somewhere between lipstick and balm. Since buying a tube of 'Tutti Frutti' at London Drugs, it's all I've wanted to wear on weekends. 4. Candlelight. Even activities as simple as watching a movie, reading a magazine, and eating dinner seem more romantic and glamorous with a scented candle glowing in the background or a couple of lit tealights. The orange chick candleholders pictured above were a media gift from the CB2 grand opening party. 5. The panoramic view of the city from our building's rooftop patio. This is easily one of my favourite things about our new place. Mountains and water to the north, lush green trees to the east, downtown to the west. We invited Alicia and Adam over on Sunday for an ad hoc picnic on the roof. What are you coveting during these lazy, hazy days of summer? Ooh those are good too. Plus, that light, unencumbered feeling that comes from not having to carry a jacket or umbrella. Wow what a gorgeous view ! Thanks! I'm trying to enjoy it every chance I get. AMAZING view. Wow. I'm insanely jealous. But the heat? I'm not too fond of. Sure we were whining about where summer went, but I'm terrible at dealing with heat. Try Addicted to Speed. It's amazing, trust me. I love orange lipstick. I have been using Morange from MAC, it's super matte. But it's good for not that Revlon carries a shade of orange.